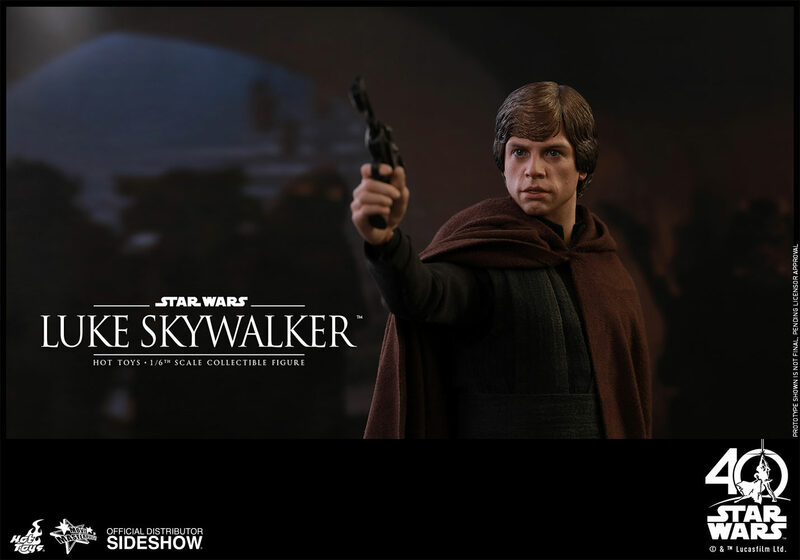 Sideshow and Hot Toys are proud to officially present a legendary cinematic masterpiece – the sixth scale Luke Skywalker Star Wars collectible figure from Star Wars: Return of the Jedi! 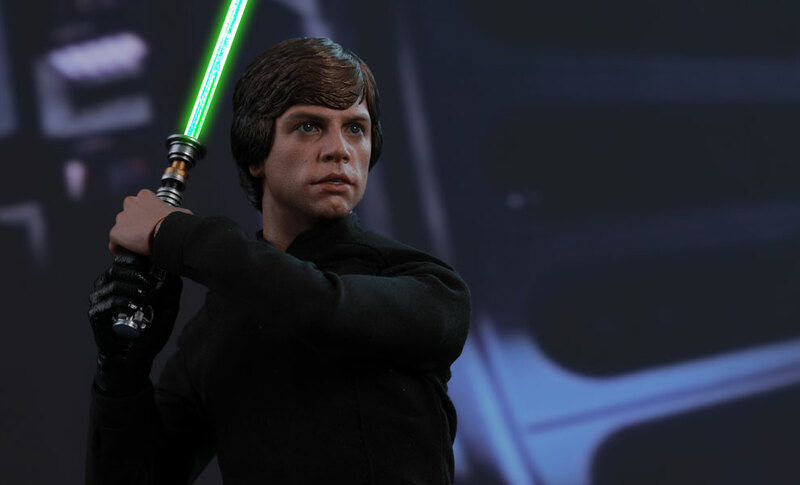 Expertly crafted based on the appearance of Luke Skywalker in the concluding chapter of the original trilogy, the figure features a newly developed head sculpt, a meticulously tailored costume featuring Luke’s look on Tatooine and Death Star in the film, a LED light-up lightsaber, an interchangeable lightsaber blade emulating the weapon in motion, and a specially designed figure base. 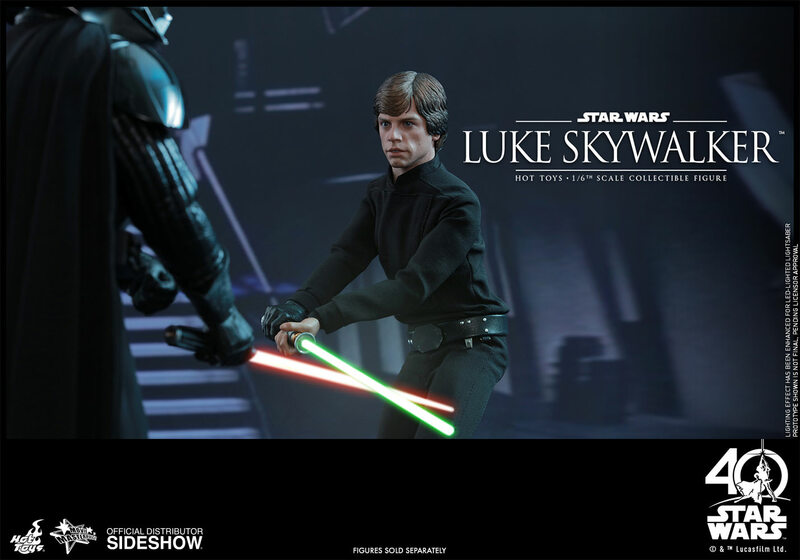 Once again, thank you Hot Toys! 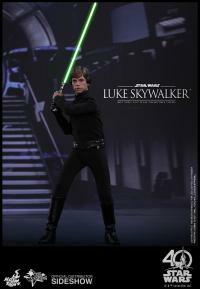 This is the Luke Skywalker I have been waiting for my whole life. This is the quintessential Luke Skywalker. 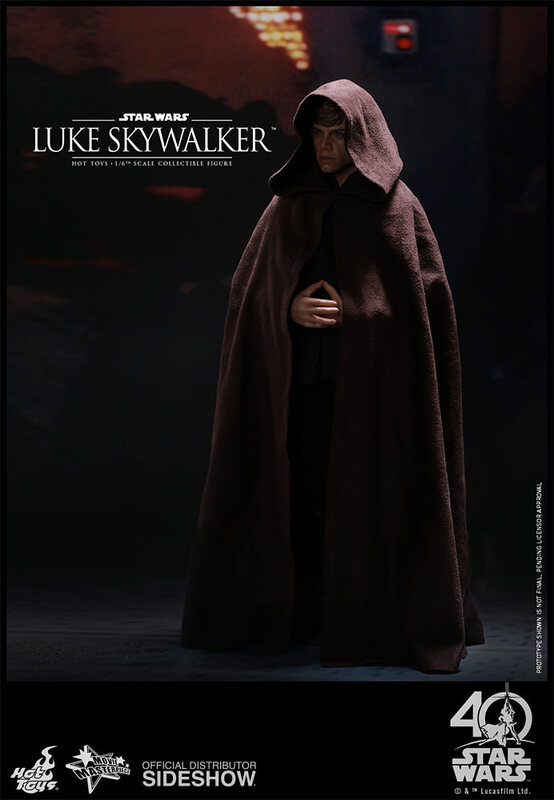 Before the dark times, before The Last Jedi. 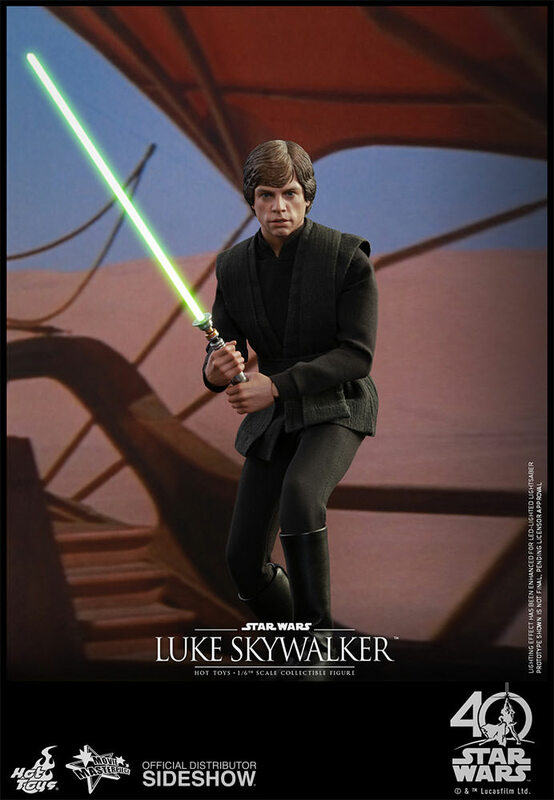 Great sculpt on ROTJ Luke. He's a little stiff in his tunic, its kind of hard to get really athletic poses, but he's moveable enough to put into some iconic stances. 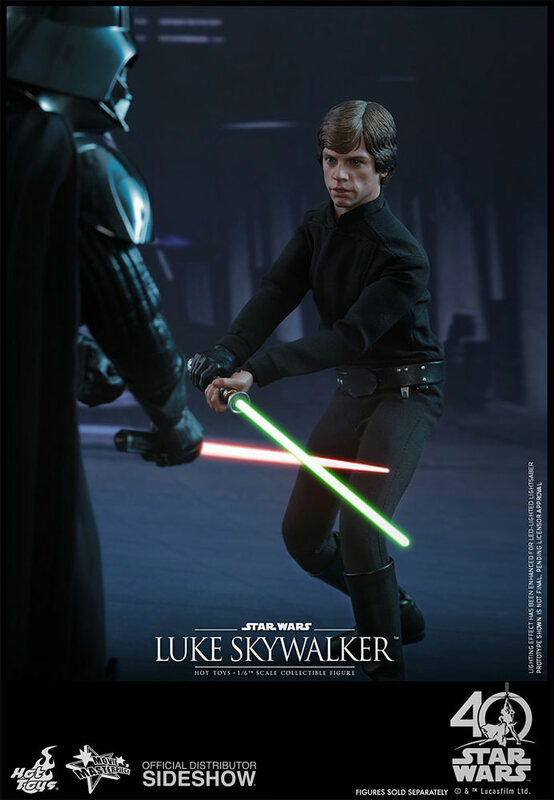 Overall a really good figure any Star Wars collector needs. 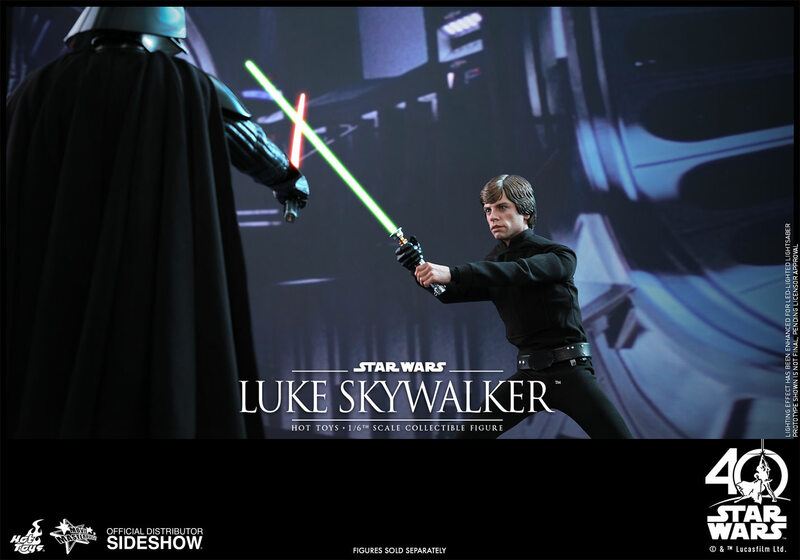 Rediscover that moment when the student became the master, and when the boy became the man! Great figure. 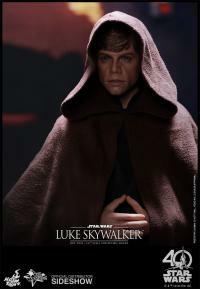 Jedi knight! What more can you say! Head sculpt is superb, hair spot on! And is a perfect example of getting it all correct. 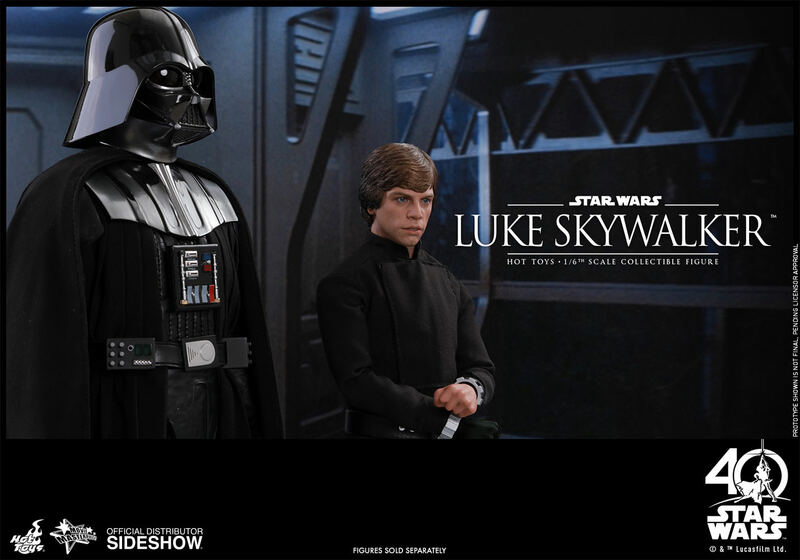 Three options for clothing display from Palace entry, skiff battle to confronting his father. Super detail on base with the extra pipes. Please more bases with unique designs. Excellent figure. Incredible detail!! Better than pictures!! 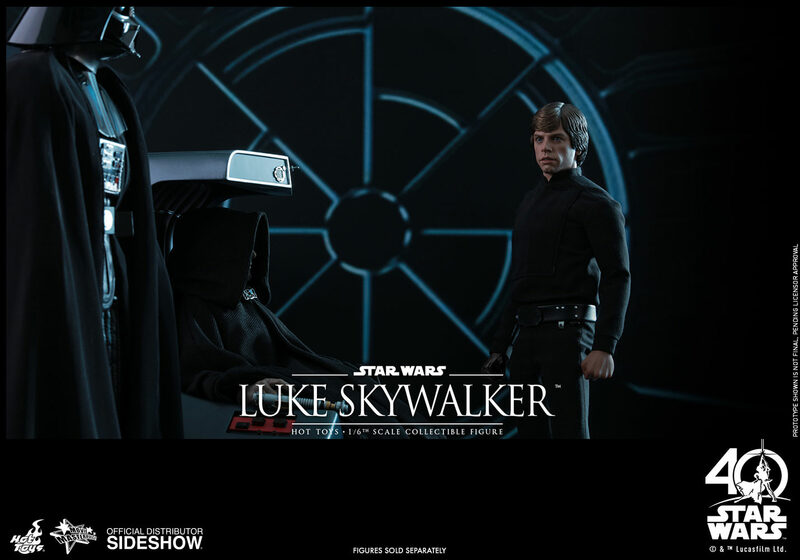 This piece is amazing i am very happy with it and very pleased with Sideshow's service and transaction, thank you Sideshow for always listening to us the fans, as you always do. 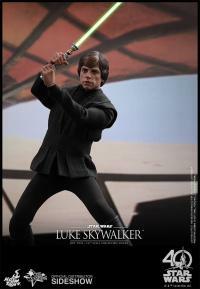 Of all the Luke Skywalker figures in my collection, this is the one that captures his essence most accurately. 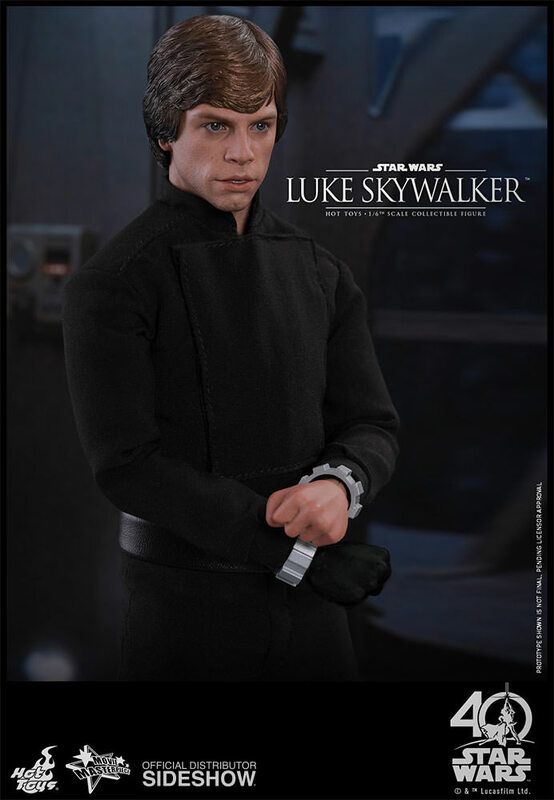 Great head sculpt, with lifelike details in the eyes, skin tone and subtle expression of confidence. Really proud to own this one. 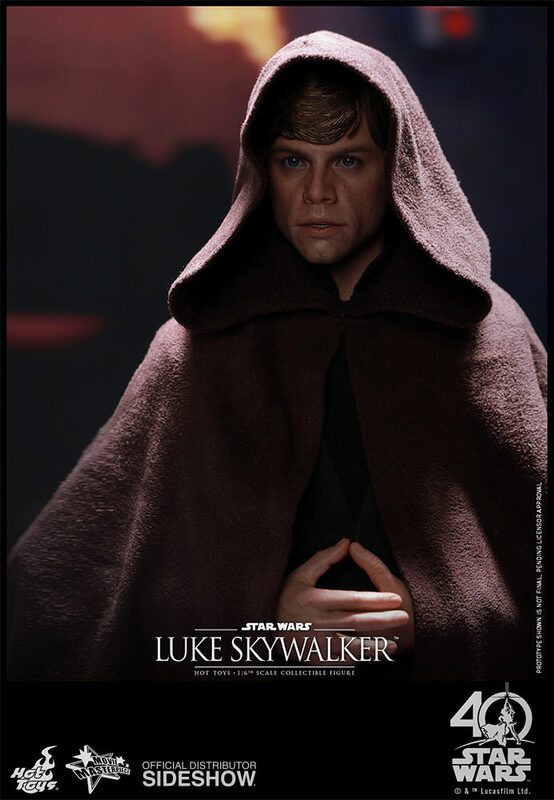 This figure's likeness to Hamill's, Skywalker is so spot on, it's like he was ripped right out of the movie. 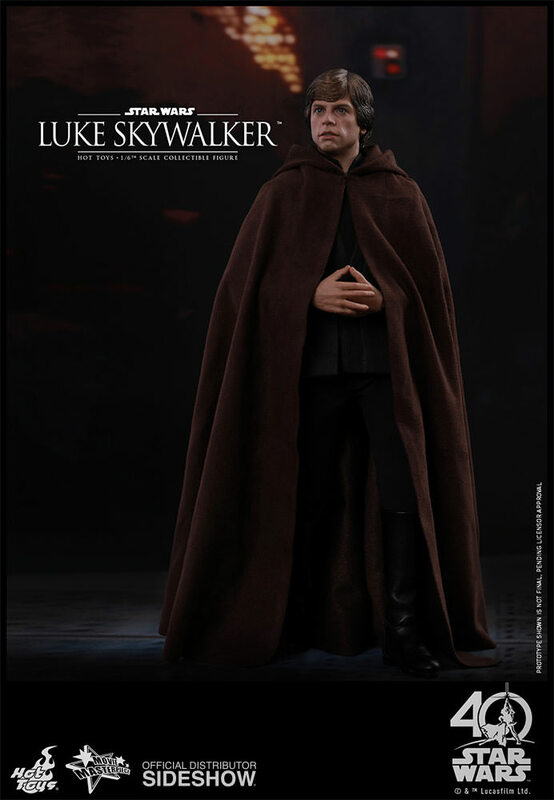 It is an impressive figure down to every detail. 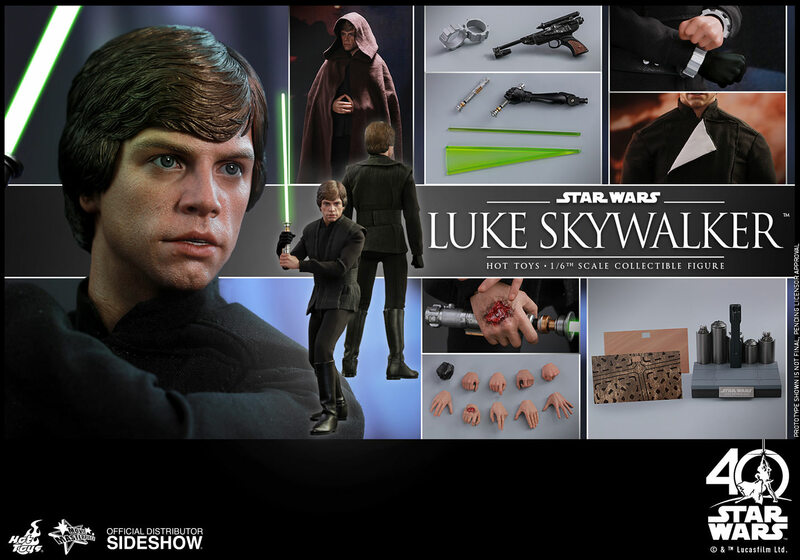 A must for any serious Star Wars collector. 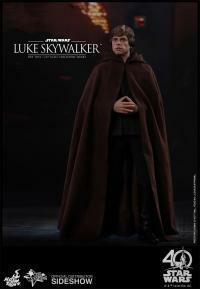 This is my second Hot Toys product, the first one bought directly from Sideshow, and I'm as happy as I can be with it. The beauty and hand-work of this piece is astonishing. 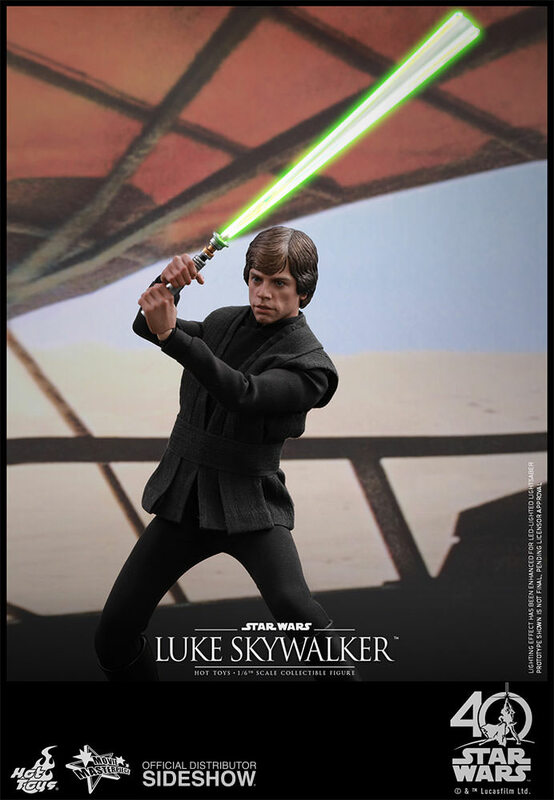 I'm so happy to have my favourite hero as part of my collection - the Force is strong in this one! I LOVE this Luke Skywalker and simply had to have him when I saw him up for pre order. All expectations were met. His face and eyes are so crazily realistic! "Don't *** with the Jedi master, son." 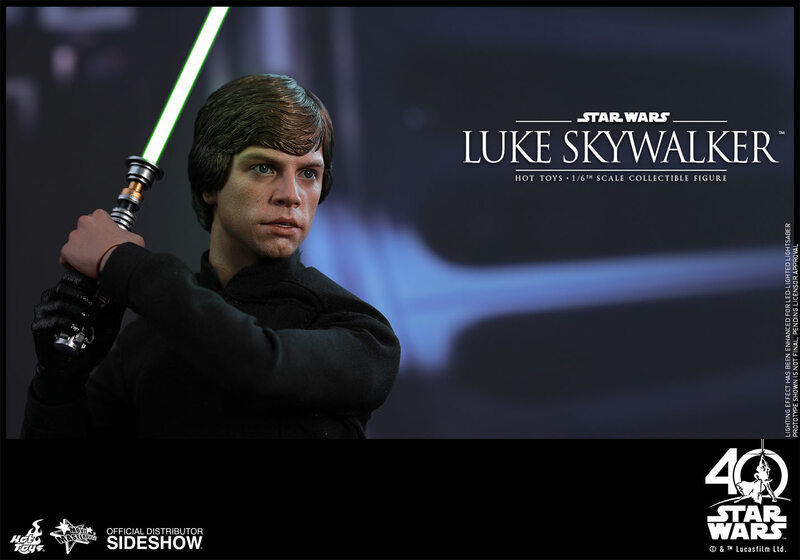 This Luke Skywalker figure is absolutely beautiful in every way. Excellent detail and precision all around. Amazing work! 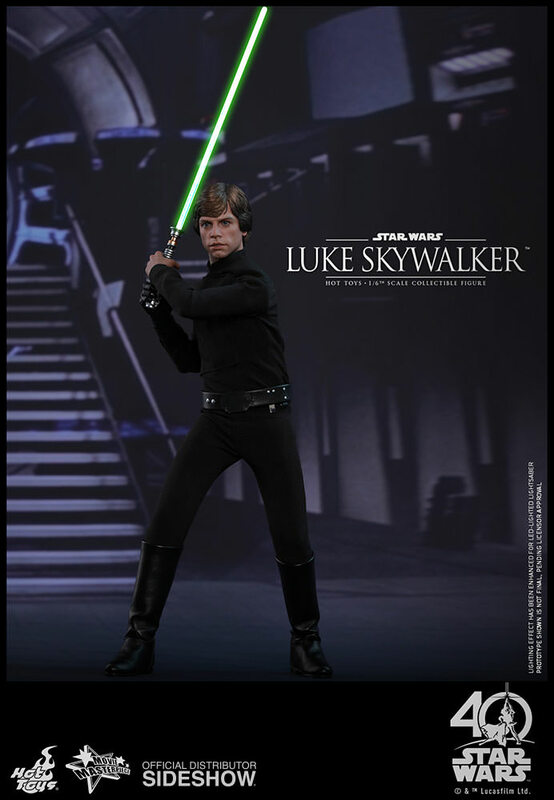 When I was young, I wanted the Kenner ROTJ Luke Skywalker but was unable to find one because they were very popular at the time. 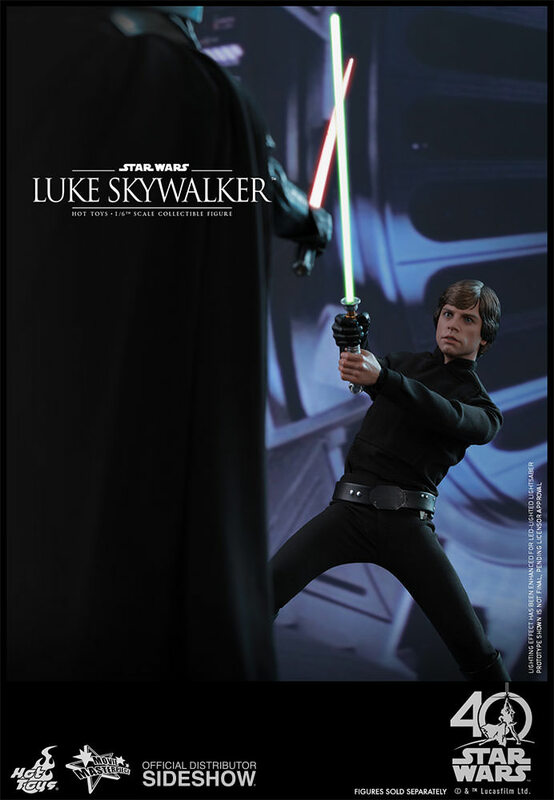 This figure from the articulation, sculpt detail, and design has clearly surpassed all expectation and continues my journey in a galaxy far far away. Astonishing!!! 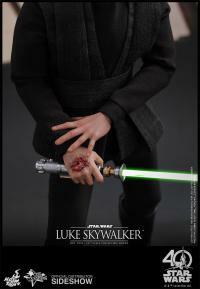 This is a great figure with alot of beautiful details. 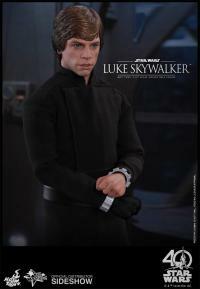 This figure cherrish the memory of this great character. Love this figure its a nice addition to my Star Wars hot toys collection. Very awesome!!!! 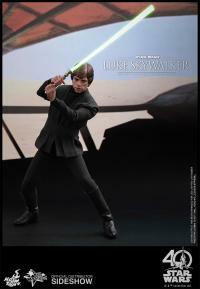 Awesome figure! So many posing possibilities! This was a must buy. Great figure! This one will be a collector's item!!! This figure has been in the back of my mind for years! 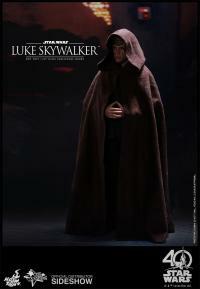 than you Hot Toys for bringing a dream to reality! This figure is an absolute 10! ... and if they are all of this quality, it will not be my last! 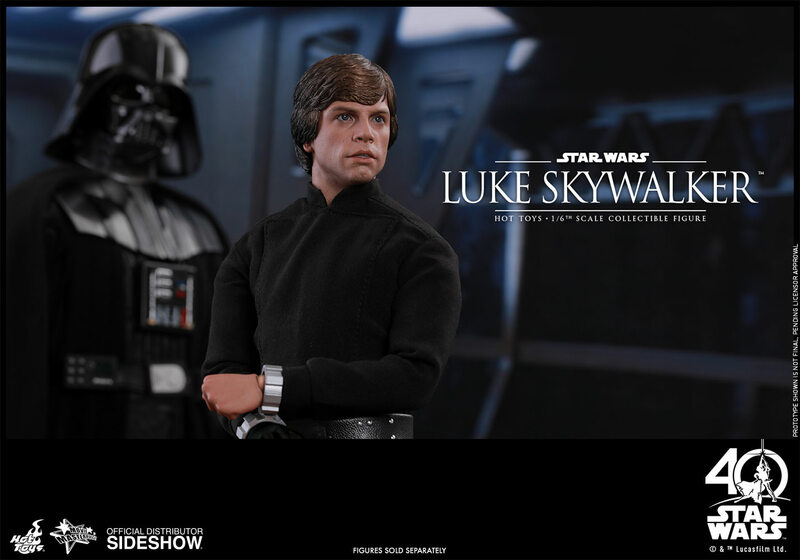 Luke Skywalker is my favorite Star Wars character, and everything here is spot on, from the likeness to the accessories to the posable articulation. 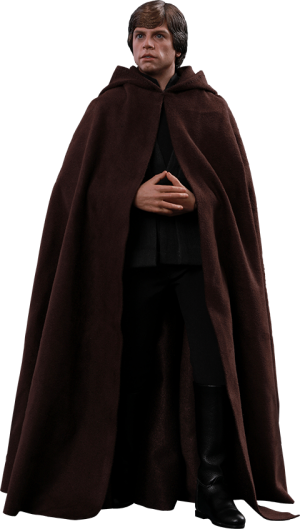 Please give us an Emperor with dual Royal Guard bundle deal! Love this figure. Haven't figured out how to replace his arm with the light up one yet but he looks awesome. 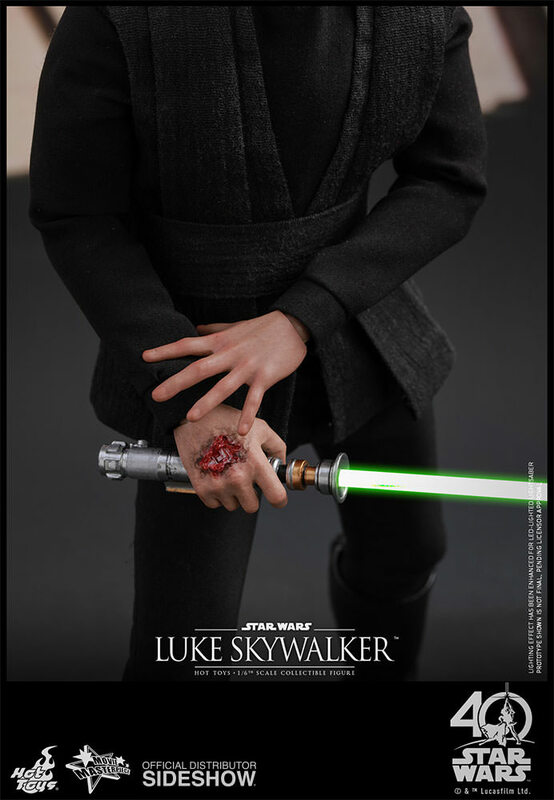 The hands are great fun and binders and base are great too. Amazing release. This figure is great. 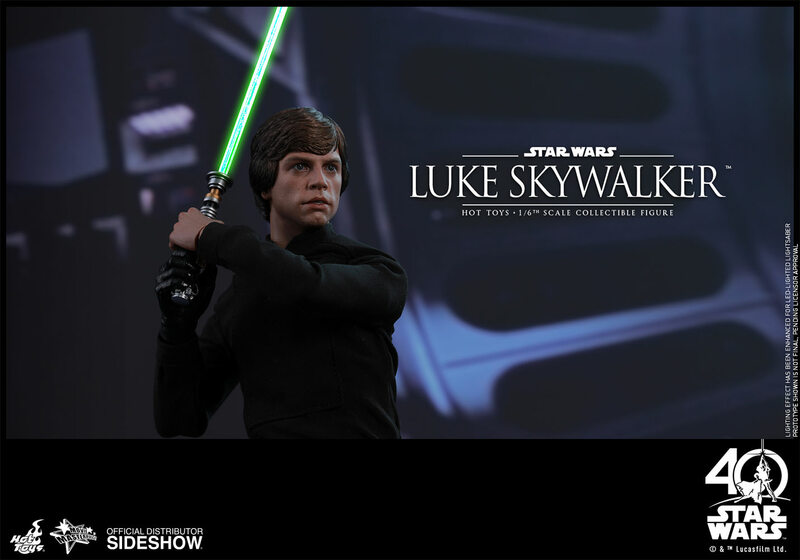 It has the best likeness to Mark Hamill as Luke Skywalker of any figure yet, not to mention it finally allows you to recreate scenes from Episode VI! 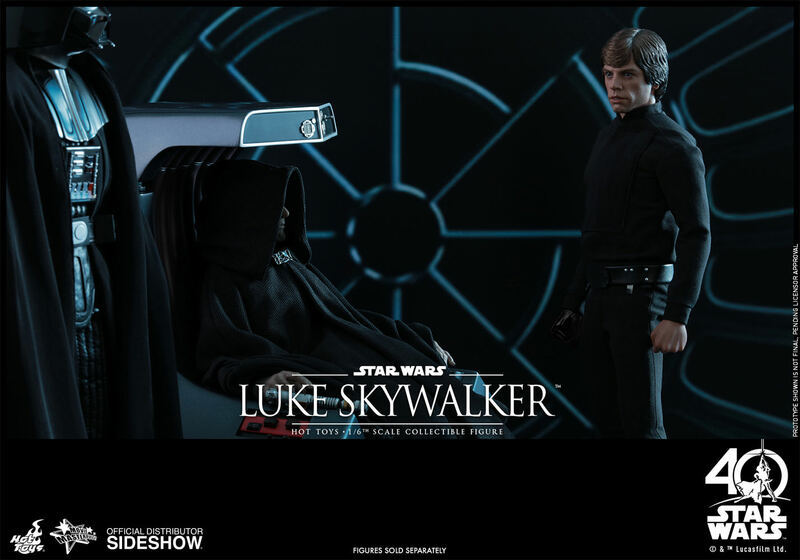 I can't wait for the Emperor Palpatine figure to release so I can recreate the Death Star Throne Room. Highly recommended.